This past week most of the national news was focused on a huge international trip by presumptive Democratic Nominee Senator Barack Obama. It is interesting that this trip didn’t seem to be very high on the list of the candidate were it not for the constant peppering by Republican rival Senator John McCain. McCain should be careful what he wishes for, as Obama made a wildly successful trip to almost a dozen separate countries with relatively few hiccups – and as he returns to the US he is greeted with new polls by the Associated Press showing him 9 point ahead of the Republican perennial candidate. I suppose this story started even before Obama had cemented the number of delegates needed to clinch the nomination. McCain started attacking Obama on his stances with regards to Iraq and specifically pointing out that he should go to Iraq and see the wonderful things that have been happening on the ground. McCain taunted him for over two weeks on this issue seemingly at every chance he got in front of a microphone. He should have known better, really. One has to expect if Obama was going to travel overseas that he would make stops in Europe as well as the war torn Middle East. There he would obviously be greeted by thousands (Hundreds of Thousands as it appears…) and that would be a huge net positive. This would clearly depict Obama as a World Leader and clearly the American people – those who have yet to fall for his charms – are starting to agree as we have seen with the poll numbers that have been coming in over the last 24 hours. You don’t have to take my word for it – Senator Chuck Hagel, strong republican and a bit of a maverick in his own right and it appears he used to be quite close to McCain. However it appears those feelings are drifting a bit. Hagel went on to several National News programs this weekend, having traveled with Obama and the Congressional team on the first leg of the trip through the middle east, to talk about his experiences and give his thoughts. They were quite positive in Obama’s favor. Now, the GOP and McCain have swooped in to criticize Obama for not making a visit to Landstuhl – This is the FIRST of the swift boat ads in my opinion. I also have a huge problem with the other allegations that are made in this ad such as “he voted against funding our troops” – This is just borderline crazy. In fact, this is an attack that was used on Hillary Clinton during the primary and it was clearly shown that Obama voted to keep funding our troops while pushing for a reasonable time table. But lets reverse this a bit – John McCain as refused to support the New GI Bill which would take care of our men and women when they return from duty by paying for them to go to a state college or university. McCain doesn’t support this. In fact Republicans have led the efforts to block substantial pay raises and benefit increases to all of our troops. It is sad really. Our Men and Women in uniform are catching on – they are not falling for these ads. I have spoken with many service members both on and off active duty and most of them are reporting a large democratic swing in their ranks. Many “lifers” that I have spoken with have seen this change happening over the past 8 years. One Louisiana service member told me that he was at a Town Hall meeting in Opelousas where David Vitter defended his stance against fully funding the VA system, this at a time where more and more women were returning broken and in need of mending. This is when he said – that he could no longer blindly follow in the republican footsteps as his father did. The sea is turning – frankly I am quite ashamed that McCain is so desperate for headlines that he would use his own money to pay for an ad like this that stinks of swift boating. The scary part is, I think this is only the beginning. Senator Mary Landrieu continues to pick up steam with now over 70 of our Mayors in Louisiana now endorsing her re-election. It’s a good thing too especially out here in the 7th Congressional District. I spoke with several of our Mayors and City and Parish Council members and many of them have told me that they have had the door slammed in their face over the last year by Congressman Boustany as he is refusing to even listen to their needs if it could come close to including an earmark. I asked them how they are dealing with this huge shift and they said… “well we are over-working Landrieu’s team” – that is right. Boustany is refusing to do his job as a US Congressman by looking for and securing much needed funds to improve infrastructure here in the 7th Congressional District – (a district mind you that is solely affected by what he dubbed “Rita Amnesia”). So Senator Landrieu and her dedicated team come through yet again for many of these municipalities looking high and low to try to find the funds needed to recover & rebuild and to look towards a brighter future. More next week, good friends! 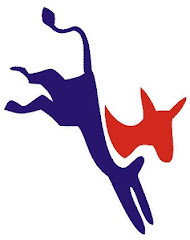 Note if you would like to get involved in this years historic election cycle drop me an e-mail or visit www.LafayetteDemocrats.org for additional information. 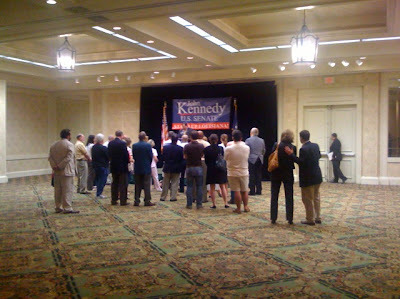 John Kennedy: Fighting and Losing in Louisiana! Senator Landrieu releases the second ad of this campaign cycle showing that she is clearly the strongest candidate in this race that is clearly producing for Louisiana. Here is the Latest ad from VoteVets.org. This group is doing a GREAT job of pointing out what it really means to support our vets! In case you missed it, Louisiana Treasurer John N. Kennedy is running for Senate again. The last time he ran for Senate in 2004, he finished third. But in the political career of John N. Kennedy, 2004 was eons ago. Back in 2004, John N. Kennedy was a proud Democrat who endorsed Bush’s opponent, John Kerry, for the Presidency. Back in 2004, most Louisianans had a certain respect for Mr. Kennedy. Despite his lackluster showing as a candidate for United States Senate, we still reelected him as our State Treasurer. Five weeks after being re-elected State Treasurer, and after airing commercials saying he was running again because “the job’s not finished”, John N. Kennedy is already switching to a new job: replacing Mary Landrieu in the U.S. Senate. Landrieu’s been busy raising money left and right. She’s also been landing endorsements from local Democrats and Republicans. Meanwhile, Kennedy seems to be struggling. The National Republican Senatorial Committee (NRSC) is attempting to help him out, but something rings hollow about a group of well-financed national Republican strategists accusing Landrieu of vague ties with shady figures. Just today, Kennedy revealed his stance against state earmarks to non-profits; it will be interesting to see if he follows the party line and opposes federal earmarks of any kind. (We’ll have to wait and see how he balances this issue in a time when Louisiana is most in need). The clearest sign of Kennedy’s troubles was his recent decision to invite President Bush to help him raise money. Remember, Kennedy, as a Democrat, publicly opposed Bush in 2000 and 2004. But when the going gets tough… you listen to Rove, switch parties, and embrace your former opponents. No doubt, Kennedy is also struggling to raise cash from his former Democratic supporters, and the Bush fundraiser represents a great opportunity to quickly raise a ton of money from a group of wealthy businessmen who would pay (”donate”) thousands of dollars just to be in the presence of the President. It was announced this week that President George W. Bush will headline a fundraiser for Senator Landrieu’s opponent, Republican John Kennedy. It is expected by many observers that the Bush fundraiser will raise a million dollars for Kennedy’s campaign. The national Republican leadership in Washington has made it clear for over a year that the Louisiana U.S. Senate seat held by Mary Landrieu is their Number One Target for 2008. They have vowed to spend millions to defeat Senator Landrieu to win this very important election. Bringing in George Bush is part of their strategy. Remember, too, that candidate Kennedy was recruited to run against Senator Landrieu by Bush’s chief political strategist, Karl Rove. In fact, Kennedy was a Democrat less than seven months ago and had to switch parties before he made this run. John Kennedy supported John Kerry in 2004 but has now become a Bush Republican and has asked the President to come into the state to raise money for his campaign…. While Washington partisan operatives are plotting an aggressive campaign against her, Senator Landrieu is doing what all good public servants should do: Her job. It will be interesting to see what President Bush has to say when he’s in Louisiana raising money for his candidate. Will he discuss why he vetoed the Water Resources Development Act, which included billions of dollars for vital Louisiana projects? Will he defend the incompetent record of FEMA? Will he explain why his administration has allowed endless red tape and bureaucracy to slow down Louisiana’s hurricane recovery? The Bayou Buzz also calls attention to a John Maginnis column that reveals Governor Jindal and Senator Vitter will be chairmen of this upcoming fundraiser. What's Next for John Kennedy? It's funny that since this video was published John Kennedy has switched parties and run for U.S. Senate again! Senator Landrieu hits the airwaves soon with this new AD showing just some of the great work she has been doing for our state. Visit her YouTube page or help her keep this ad on TV by visiting here. ... with crowds in the... err 10's? This past week it was revealed in Roll Call, an inside the beltway magazine that reports on the actions and or inactions of members of congress, that our very own Charles Boustany some two weeks ago held a swanky party for his closest friends – Federal Lobbyists. Yep, he is quoted as saying that he had this meeting in part to find out what their priorities are… It is highly likely that there was a rather LARGE basket at the door for their loose change. I do not see that the reports have been issued from last week’s filing deadline, but I really can’t wait to see them. Through March 31st of this year Boustany has taken roughly $700,000 of which 40% of that comes directly from PAC’s. (He has paid out over $400k which leaves him only about $300k on hand so one can see why it was so important for him to have this “Party”) That is actually quite high compared to the averages. It is also quite troubling for Boustany that the Average House member has significantly outraised him. Perhaps he may be banking on the fact that retiring congressman from Shreveport Jim McCrery is turning over his very successful “leadership PAC” to Boustany and one would think that Boustany would tap those funds if needed. Interestingly enough this committee is called “The Committee for the Preservation of Capitalism PAC” (as if Capitalism is going anywhere… quaint though). This committee just got done doling out checks of $2,500 to $5,000 per Republican House members who are in vulnerable or competitive races. (Can’t wait to see if Boustany was one of them.) The Advocate points out that this committee has contributed more than $832,000 to candidates. Sure looks like this is an incumbent protection program here and I am QUITE sure that $832,000 can buy more than a few things in DC… if you know what I mean. Looking back to the 2006 cycle when challenged by an underfunded Candidate, Boustany took in roughly $1.6 Million of which half of that came directly from Special Interest groups. Only a fraction of the donors were from this district. What will this cycle look like when he has a very well funded candidate with large and growing support? It’s not all difficult news for Boustany though – the Advocate also reports that Boustany was named the ranking Republican on the subcommittee on (and get a load of this name…) department operations, oversight, nutrition and forestry on the House Agriculture Committee. Perhaps now since Doc Boustany is on the watch he can find out while it is still hard to get good tomatoes on my salad! And why this happened in the first place. In fact reports are showing the Inspectors from the Federal Government are only inspecting raw produce suppliers like once every 5 years… possibly 10. And rarely do they ever visit the growing fields where the products are grown. This poor track record must be addressed or I fear bad tomatoes are just the start of our woes. However I am not too optimistic about Boustany playing any significant role – remember he is against any sort of regulations on business including environmental (not to mention the minimum wage) as he stated two years ago at a town hall meeting here in Lafayette. There after pressed repeatedly for a full answer by local Attorney Anthony Fazzio, Boustany recounted a litany of things that he was against – regulations and minimum wages were the two that stuck with me. Well without regulations we get Mad Cow… and without enforcement we get it faster. Boustany needs to join the Democrats in cracking down on Manufacturers who have for the most part been given a free pass for the last few years. How, you may ask, have they been getting a free pass? Let’s take a look at INS records for the past 7 years then compare that to any or all of the years of the Clinton Administration. The raids on businesses became almost completely non-existent for the past 7 years under Bush & Co. This wink and the nod to large corporations to “do what they need to do” to get by – this clearly includes hiring illegal workers. Another very clear symptom of this is to look at all the mining accidents that we have had throughout the past few years. Again, inspections by this administration have fallen to almost zero and therefore corners are being cut. Secondly, you have the almost complete deregulation of the Media. Now it is not uncommon for you to get your Newspaper, TV News, internet and your radio station talk show all provided by the very same company. How, you may say, does this tie to Boustany? He clearly would like to see more of this. You see Boustany subscribes to the Free Market Standard… He is a FREE MARKET Purist, if there is such a thing. He feels that government has no right at all to regulate businesses – that instead if a company does something wrong that ultimately it will be forced to correct it by the “free market” – however let’s look at the top two points I just made. How is it a “free market” when millions of undocumented workers are flooding our job market, lowering the standards and often working below minimum wage and often “off the books”. A free market would have controls for this or SOLID boarders. How can we expect to have a FREE Market when the media – the Fourth Estate is largely owned lock stock and barrel by the very same corporate interests that are taking advantage of #1. The thing is regulations are good. Regulations that say your neighbor can not; at 3 AM, have a party with speakers blasting rock music into your house shaking furniture and photographs. Most cities have noise restrictions – and most of us agree with those. We say that sure, you own your own property – but you don’t have the right to infringe onto someone else’s. Some regulations are good. Corporations should have to follow the same rules, but all too often they do not. Unregulated corporations pollute the land, air and water. It is time for the pendulum to swing back to the center folks. We have gone much too far to the right when it comes to these sorts of issues and it is showing in our economy. For the first time since the depression the National Average savings rate (this is the amount of money that is saved for every dollar earned by the average American) is -$.01 This means for every dollar the average American makes, they go into debt by a penny. And boo, those pennies – they add up. And this brings us right back to Charles Boustany. Boustany didn’t meet with the people of his district, he met with his stock holders, the Lobbyist and ask them what his marching orders would be and told them how much money he needs to run for re-election. Boustany meets with Lobbyists to find out what needs done, Cravins meets with families in his district to ask them what needs done. Which is better? I will take my neighbors over the special interest groups any day of the week. Tonight Congressional Candidate Don Cravins Jr. will be meeting with 30 Constituents to talk with them about the issues they are facing today – the economy, education, the war and healthcare I am sure are going to be at the top of our lists when we meet with the State Senator Tonight. What would you like to ask Senator Cravins? I will take the top three questions we get here and ask the senator personally and next week I will have your answers. (No Flames and no Freepers).